We are the Environment Team! Meet Roddy Yarr, the Environment and Energy Manager! Roddy is the guy doing all the big stuff, like working on getting a 6 turbine, 12 megawatt wind farm at Kenly and looking into a biomass CHP plant at the old Guardbridge paper mill site. Roddy has been managing the team with gusto since 2005 and with the help of his trusty bicycle he’s still going strong. Roddy oversees all activities within the team and engages with the University governance and the local communities on any and all environment and energy developments. Along with such engagement, he keeps the team entertained with the occasional Homer Simpson impression. Meet David Stutchfield, the Energy Officer! David’s got all the energy in the world! Well, maybe just at the University. From installing solar panels on the roof of New Hall to developing smart metering of energy consumption at Fife Park, he has the CO2 facts at his fingertips. Meet Barbara Aitken, the Environment Officer! Barbara is the ‘recycling guru’ of the team and deals with waste management, travel, grounds management and biodiversity. This year, she spearheaded the massive feat of achieving a 65% recycling rate across the University! Constantly coming up with ways for us to be greener and reuse, Barbara oversees our innovative bike reuse schemes, works closely with Grounds and our own University Recycling Team and loves the resident bats on the North Haugh and in the Bute Building. She keeps things chatty in the office, and of course, makes a mean cup of fair-trade tea. Meet Graeme Noble, the Graduate Engineer! Graeme is a recent graduate from the University of Edinburgh and works on all the technical building stuff around St Andrews such as risk assessments and making sure we don’t all end up underwater or on fire. He spends his days dredging burns and visiting the old Guardbridge paper mill site. Graeme is the only non-tea drinker in the team, but enjoys a pint and a good hike into the hills. Sadly, Graeme is leaving the Team in the middle of September, 2011 to go back to University to complete a second masters… We will miss him! Meet Lucy Arndt, the Sustainability Intern! 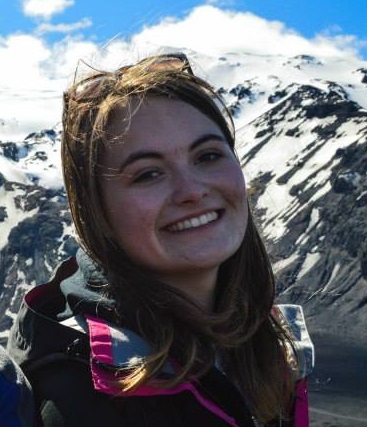 Lucy is a recent graduate of the Sustainable Development undergraduate program at the University of St Andrews and the newest addition to the team. She works on outreach to staff, students and University initiatives like Transition, managing communications such as Facebook, twitter (follow us at: http://twitter.com/EnvironmentStA!!) and an Environment Team newsletter, fun projects like our Sustainability in Practice mini film series and generally assisting the rest of the team. Lucy is loving working with the Environment Team and learning about what happens ‘behind the scenes’ at the University.